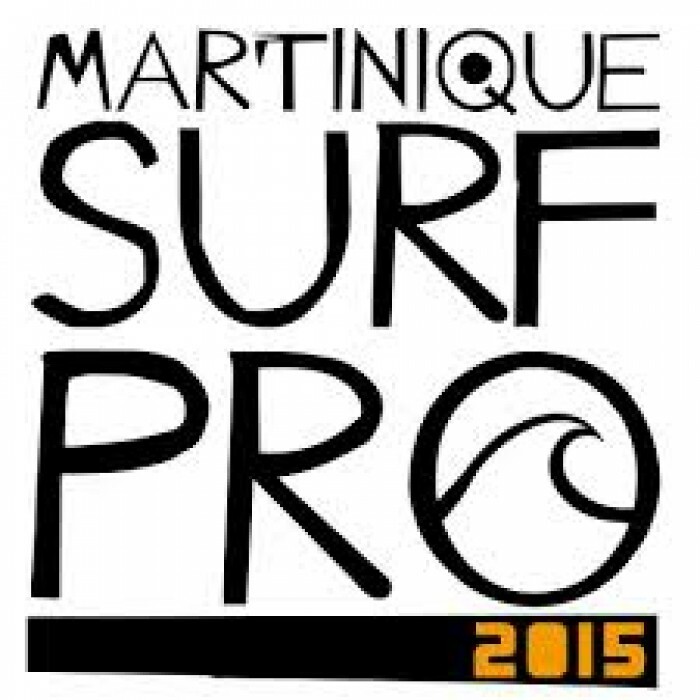 The first edition of the MARTINIQUE SURF PRO, an event included in the World Surf League Qualification Series (QS) will be taking place April 21-26, 2015. As the date draws nearer, the line-up is getting stronger and looks very promising with no fewer than forty entrants from four continents registered, all eagerly waiting to discover one of the finest surfing locations on Martinique: Basse-Pointe, in the north-east of the island. There will be a lot of young talent, as well as some of the top names in the qualifying circuit. The MARTINIQUE SURF PRO is already fully booked. And for good reason, the event has what it takes to attract competitors from the four corners of the Earth. Firstly, it will take place in a top quality location, Basse-Pointe, which offers one of the longest surfing waves on Martinique, which should ensure a great show, fantastic right handers (waves breaking towards the right when you are surfing them), which competitors are certain to enjoy… as will all those watching from ashore or on the water. At a time of year when the trade winds ease off, there is every chance that the waves will be glassy (perfectly smooth). All the ingredients are there to ensure that some of the world’s leading surfers can fully express themselves during the five days of this maiden edition from 21st to 26th April. In spite of its huge surfing potential, Martinique has never hosted an international professional surf competition. Organised by Martinique Surfing, in partnership with the WSL (World Surf League – ex.ASP), the MARTINIQUE SURF PRO will be the only Caribbean leg in the QS in 2015. It is no surprise that the event is attracting many surfers from Martinique and other Caribbean islands. Among others, we shall be able to see the Martinique surfers, Louca Jourdan and Jerry Schaefer, the surfers from Guadeloupe, Gatien Delahaye, Enzo Cavallini and Timothée Bisso, as well as the Barbados-based Joshua Burke and Dane McKie. But the event is not only attracting surfers from the Caribbean. Far from it. It aims to be a truly international event and the line-up confirms this aspect. Registrations have only just opened, but already around forty competitors have signed up from four continents: Europe, America, Asia, Oceania. There will therefore be representatives from Brazil, the United States, Hawaii, Japan, Costa Rica, France, Mexico,Indonesia, Chile and Australia among others. It will be a great opportunity for everyone, offering them a chance to gain experience and be awarded points (3000 in Martinique) in the Qualification Series. With the aim of reaching the Top10 in this qualifying circuit and therefore to join the Elite Tour, which brings together the world’s top 34 surfers. In Martinique, we shall see some surfers, who may quite possibly join that elite group at the end of the season, such as the American, Evan Geiselman or the Australian, Cooper Chapman, to name just two. We shall also see a lot of young talented surfers from France and from around the world, who have been competing in the past few years in the Junior Tour and have now entered the world circuit. There is for example, Tom Cloarec, 9th in the Junior World Championship last October. For these youngsters, the MARTINIQUE SURF PRO will in some way be the final hurdle before they achieve glory. So, we can look forward to a very high standard, in particular as the line-up will be getting even stronger in the coming days and weeks. That seems to be very promising for the longevity of the event, which aims to become an annual date that everyone wants to attend in the Qualification Series. The festivities will also continue ashore with a commercial village with many fun activities and special events, as well as a music stage, which guarantees a festive and friendly atmosphere. If you so wish, you can also discover some other locations on Martinique, which is an attractive surfing destination, because of its geographical situation, its pleasant climate and wide range of waves.